*Update November 2016* We’ve updated this list for 2017’s conferences. Click the link to see the best data visualisation conference for 2017. Innovation Enterprises’ Las Vega conference covers a massive range of Analytics & Data Visulization topics with speakers from some world leaders in the field. A full calendar of Innovation Enterprises events can be found here. This year’s event includes workshops, hackathon, conference & expo over a full week program. Developer week has a huge range of events covering innovative tech, development, hiring and resourcing, data science and code. Running since 1994, the Conference on Visualization and Data Analysis (VDA) covers research and development and application aspects of data visualization and data analytics. VDA covers a wider range of topics than many other conferences and gives you a chance to delve deep into some of your data problems. Probably a good break from the noise after Developer Week. Tableau brings their global conference back Australia in 2016. 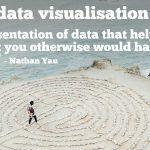 Covering everything you’d imagine on data visualization, business intelligence and a pretty good place to network among Tableau users & developers. You’ll have to visit the page to see what is happening and who is speaking in the cities near you, because this is an absolutely massive event. There are bound to be several interesting events in a city near you but look into others to see if a trip is worthwhile. 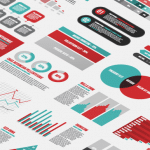 Open Vis is a two-day conference that focuses on visualizing data on and for the web. Covering information design, data analysis and the use of open web technologies. A Human-Computer Interaction focused conference, Chi looks to showcase advancements in a myriad of fields around HCI, including visualization. This year’s theme is “Crossing” and it looks like you’ll see a lot of elements from the multiple disciplines coming together in many of the featured research papers and applications. A Eurographics and IEEE co-sponsored event, this conference focuses on the exchange of ideas between researchers and practitioners from around Europe. This event also features co-located events, so if you can’t attend in Holland there may be a piece you can still participate in. An event dedicated to cartography, digital mapping and geogeekery (which is a real thing, it seems). If that describes you then you’ve probably already heard about Esri UC but if not, you’re welcome. One of the biggest computer graphics conferences, Siggraph is at the top of most lists for conferences. Everything from technical papers, research, industry applications, a job fair and an animation festival are part of Siggraph. Most of the application deadlines for submissions fall in late spring, so by April/May you’ll see more concrete details on what’s available this year.